Your finances represent more than just mere numbers. Instead they provide a gateway toward obtaining your financial goals and dreams. 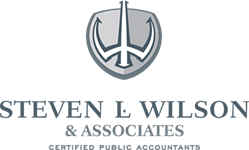 At Steven L. Wilson & Associates we understand that better than anyone. As a result, we are commtited to providing personalized tax and wealth management solutionts to help turn those financial dreams into reality. this committment coupled with our extensice expertise has positioned SLW as one of the leading tax and financial services firms in the Tulsa area.